Why is this event called “Starry Night'”? It’s not at night. And it’s not even all about astronomy…what gives? 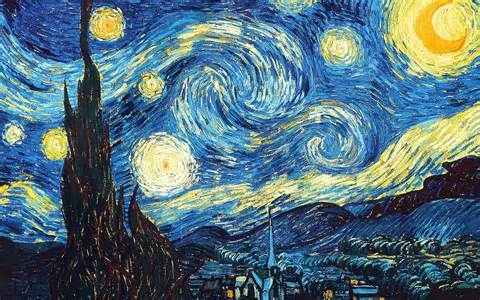 Starry Night was born out of an evening I spent looking at Vincent Van Gogh’s iconic painting. I was admiring it that night and thinking about how Van Gogh was looking at the stars and must have felt inspired by them. His painting seems to vibrate with the night sky, swirls of color dance around his stars and spin through his sky. It’s beautiful. To me, it looks like music in the sky, music and wind and stars and color. All of those elements coming together to create something beautiful that speaks to our experience on this planet. I wanted our organization to create something beautiful for children that brings science, art, music and so much more together in one place. That would give families an opportunity to learn about these disciplines together, by getting involved and interacting with them in a fun way. I wanted to promote critical thinking about how the world combines and is interrelated. I wanted to create something that would ignite creativity and a passion for exploring how the world around us connects. Other board members of WPE grew excited about the idea too and added to it. Starry Night was born. The name is a nod to Van Gogh and how artists and scientists have inspired each other for centuries and to how those connections will inform the future we shape. And yes, we could have named it something simple like Family Interactive Interdisciplinary Learning Festival, but that’s a mouthful and I really like our logo now, so we’ll stick with Starry Night. See you next year!